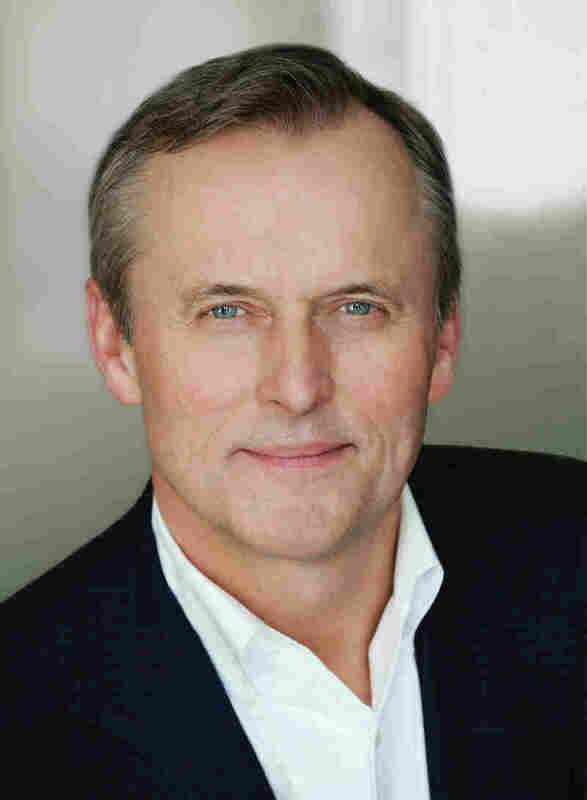 'A Time To' Revisit Clanton, Miss., In John Grisham's Latest Grisham is returning to the world of his first novel, A Time to Kill, with a sequel called Sycamore Row. The book comes out at the same time as the stage adaptation of A Time to Kill opens on Broadway. NPR's Lynn Neary profiles Grisham, who says he loved writing the new book so much, he didn't want to hand it to the publisher. In his new novel, Sycamore Row, John Grisham returns to a character close to his heart: Jake Brigance. Grisham introduced Jake to readers in his first novel, A Time to Kill — an adaptation of which is opening soon on Broadway. Grisham insists that he didn't plan for his first new Jake Brigance book to come out at the same time as the play. "You know it makes us look real smart," he says. "There is no way, if we had planned, that it would ever happen. It is completely coincidental." 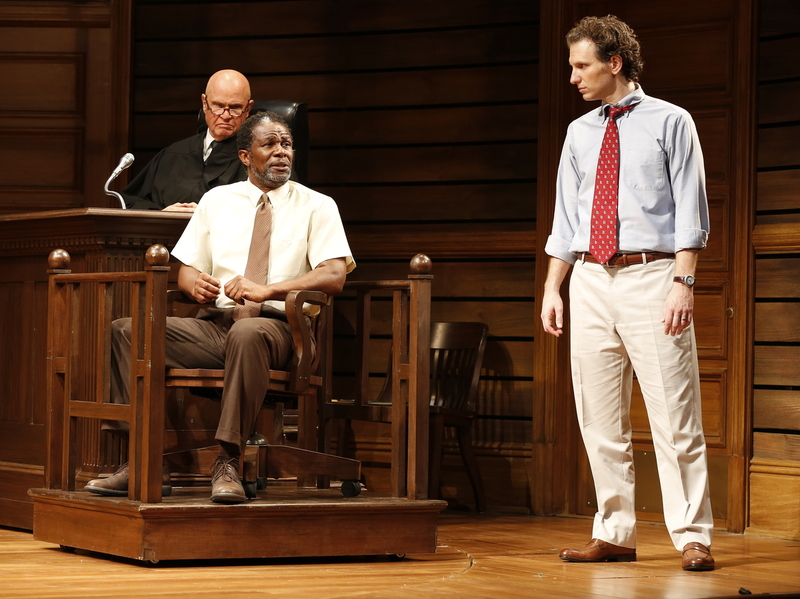 The Broadway production is a racially charged courtroom drama featuring Sebastian Arcelus as Jake, defending a father who takes justice into his own hands when his daughter is brutally attacked. Rupert Holmes adapted A Time to Kill for the stage. He says he knew that casting the character of Jake would be crucial to the play's success. "We were looking for an actor who could play Jake as a solid guy, a fellow with principles," Holmes says. "Not so burdened by cynicism that he couldn't believe in a good cause. Someone who could be essentially a human hero." Holmes says that as he was adapting the book, he had the chance to sit down with Grisham and talk about the character. "Whenever we started talking about Jake, John would tell me about his early struggling days as a lawyer, the things that he saw in courtrooms in the South, the issues that moved him. Invariably his deep abiding love for his wife would come up. So, by telling me a lot about himself, especially the young, ambitious John Grisham, attorney and aspiring novelist, I think he told me an awful lot about Jake Brigance as well." Grisham acknowledges that Jake is his most autobiographical character. "I wanted to be a real trial lawyer," he says. "That was my dream when I finished law school 30-something years ago." And he wrote A Time to Kill when he was still a small-town lawyer, wondering where his next case would come from. He had big ambitions and he poured them into his novel. "I dreamed of the big case, a big showdown, a big murder case with everybody watching, and a lot at stake and big issues and stuff like that," Grisham says. "Those were my dreams back then, and I had this idea for a case, a trial, and it eventually became what we now know as A Time to Kill, and that's how Jake Brigance came to life." Fred Dalton Thompson, John Douglas Thompson and Sebastian Arcelus in a scene from the Broadway adaptation of A Time to Kill. A Time to Kill didn't sell well when it was first published in 1989. It was not until a few years later after The Firm and The Pelican Brief became popular that the book was re-released and gained an audience. When it was made into a movie, Grisham had control over who would play Brigance — and he held up the production until he found the actor he believed to be perfect for the part, Matthew McConaughey. Grisham says that fans would often come up to him and tell him that A Time to Kill was their favorite book — and they'd ask him when he was going to write about Jake Brigance again. But, he says, he couldn't come up with the right story until recently. And even then, his wife had serious doubts about returning to an old character. "And she said you know, 25 years later things have changed so dramatically in our lives, and we're not struggling, we're not worried about paying the overhead, we're not worried about the next case. And she said, I'm not sure this is a good idea. I don't know if you can re-capture the voice that made A Time to Kill so authentic." Eventually Grisham won over his wife, with the story of a contested will and an estate, worth millions of dollars, that has a dark history. Once again, race plays a large role in the story, but Grisham says this time, Jake is dealing with a very different kind of case. "You know I don't want the world to get to the impression that we have a racially charged murder every year in Clanton, and Jake's got to figure it out, that's not accurate," he says. "But I also, you've got to have the drama, you've got to have the issues, you've got to have the narrative that drive the story and turn the pages." Sycamore Row opens dramatically: Mysterious businessman Seth Hubbard is found hanging from a tree. It's an obvious suicide — but the action kicks off when Hubbard's will is revealed. 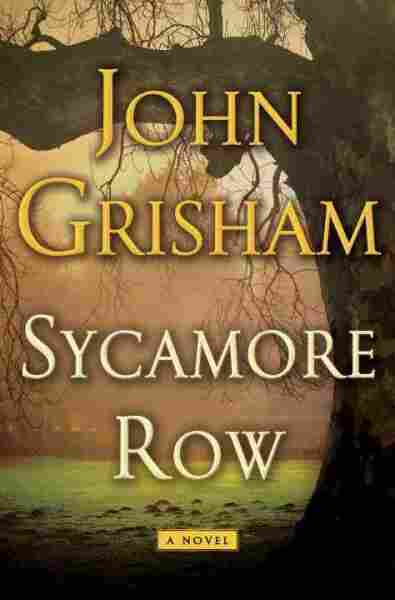 Grisham says he loved writing Sycamore Row so much that he didn't want to finish it and was reluctant to hand over the manuscript to the publisher. He suspects he may return to this cast of characters again — and if he does, he says there is no question that Jake Brigance will still be practicing law in the small town of Clanton, Miss. "Oh yeah, he's not going anywhere. You know, he's been out of law school for 10 years, and it would be very difficult to move to a bigger city somewhere in the South and hire on with a law firm. It's just very difficult to imagine Jake surviving successfully in another location. Plus I don't want him to leave, so he's always going to be in Clanton." And Grisham says he is looking forward to opening night of A Time to Kill, as is Rupert Holmes, who has not yet had the time to read Grisham's latest book. "I'm ravenously curious about the sequel," he says. "But at the moment my full focus is on the original story of A Time to Kill, and I think ... after opening night on Broadway I'm going to treat myself to a good read of the new novel."